Schedule a guided tour on the beautiful Corvallis Riverfront. 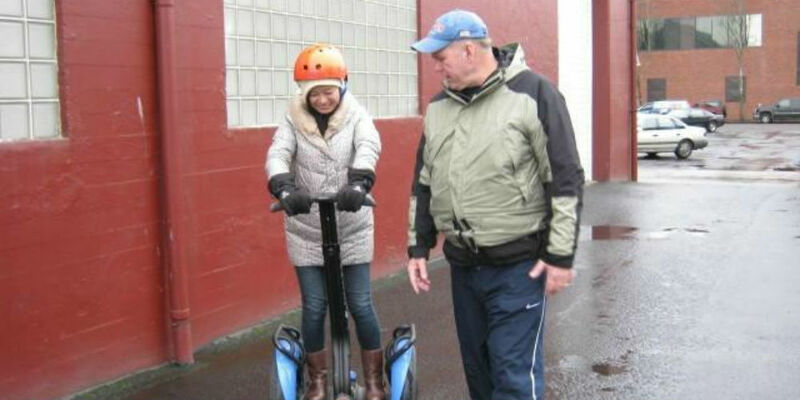 Segway of Corvallis Tours offers three different tour trips from one hour to 2 hours. We start off in our convenient downtown location and train in a quiet area with plenty of practice space. Your Segway tour guide will point out excellent places to take pictures of the tour with you and your companions. We take pride in gauging our customer’s interest to see if they are into having great pictures taken, learning cool stuff about this great city, or just gliding around and having a great time.